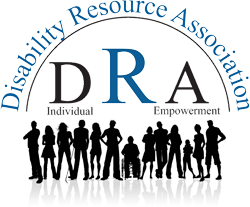 Disability Resource Association complies with Title VI of the Civil Rights Act of 1964, which states that "no person in the United States shall, on the ground of race, color, or national origin, be excluded from participation in, be denied the benefits of, or be subjected to discrimination under any program or activity receiving Federal financial assistance." For more information on the DRA Title VI program, and the procedures to file a complaint, contact the DRA Executive Director at 636-931-7696; or visit our administrative office at 130 Brandon Wallace Way, Festus MO.63028. DRA will translate all documents as needed. More information is available on our Title VI page.